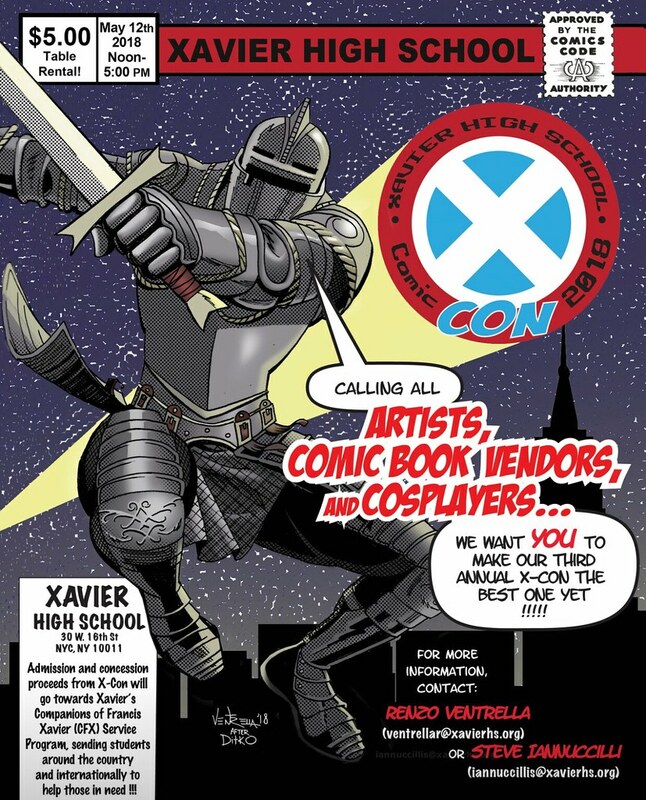 Calling all ARTISTS, COMIC BOOK VENDORS and COSPLAYERS for Xavier's 3rd annual X-Con comic convention! Contact me ASAP to lock in your spot! $5 table rental with proceeds going to support Xavier's CFX Service Program!If you're a part of the group, please share this flier and spread the word!! !